The EC044A series brushless motor is a medium torque density 4 pole model designed as an economical upgrade to brushed motors. The EC044A is an excellent choice for both power transmission and precision motion control applications. It is offered in 3 motor lengths with continuous torque from 0.043 - 0.081 Nm in a 44 mm diameter. The E30C & E30D optical incremental encoder was developed for volume OEM precision motion control applications and is the recommended encoder for the EC044A. The E30 offers a wide range of outputs, resolutions and connection solutions in a compact 30 mm by 8 mm size. The PLG42S is a 42 mm planetary gearbox suitable for servo applications where DC Servo brush or BLDC motor technology is specified. The PLG42S provides excellent efficiency in a compact and industry compatible output configuration. 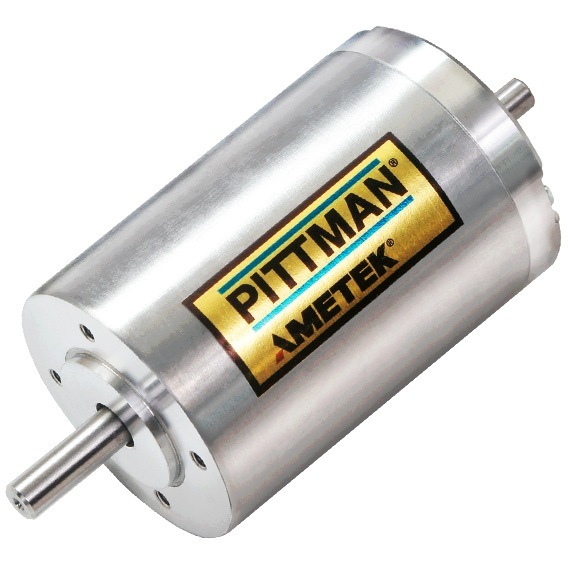 The EC044A series brushless motor is available with an integrated drive for direct operation off a 12 or 24VDC supply. The EC044A is an excellent choice for both power transmission and simple velocity control applications. It is offered in 2 rated voltages with continuous torque of 0.042 Nm in a 44 mm diameter. Peak Current (2 sec.) Ipk Amps 3.0 20.